War-torn Syria's World Cup qualifier with South Korea has been moved to Malaysia, the Asian Football Confederation said on Thursday, after Macau was a late withdrawal as host. 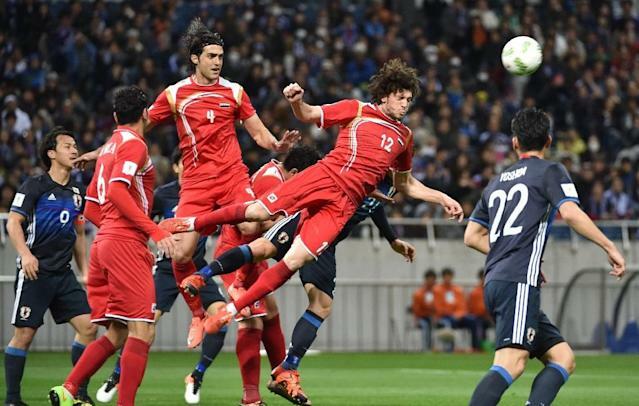 A breakdown in talks between Syria and Macau threw preparations for Tuesday's game into disarray, with South Korea forced to cancel their bookings for the southern Chinese territory. But an AFC official told AFP in an email that the match would be held at the 20,000-seat Paroi Stadium in Seremban, south of the Malaysian capital of Kuala Lumpur. Syria, who are unable to host home games because of the conflict in their country, are among 12 Asian teams vying for four automatic sports for the 2018 World Cup in Russia. A Macau Football Association official earlier told AFP that they had failed to "reach consensus" with Syria, without giving details. "Because we could not reach consensus with Syria, the match will not be held in Macau," the Macau official said. South Korea open their bid to reach the World Cup for the 10th time when they play China in Seoul later on Thursday. Iran, Qatar and Uzbekistan are the other teams in Group A.